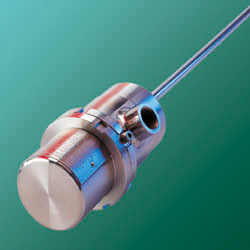 Summit USA, LLC manufactures and sells Stainless Steel enclosures for MTS position sensors. This enclosure, also called the High Pressure Housing, was originally made to suit the needs of the Oil & Gas Industry to provide a safe usage of standard sensors in hazardous locations. It started with a Cenelec approval only, but was redesigned in 2003 to meet the European ATEX standards and the UL / cUL standards for USA and Canada. Over the years the applications for these encloseres have expanded into many other industries, such as bottling machines for alcohol and other hazardous liquids, valve control in refineries, sensor protection in steel rolling mills and in the food processing indusrty.